WHILE Westminster struggles to realise that the reason we had a referendum is that politicians (whose authority comes from the electorate) had to ask the electorate what to do about the EU, the latest prophecy of doom from the benighted Leo Varadkar is men in uniform on the Irish border. He later clarified that he did not mean the mighty (7,500 strong) Irish Army, so presumably he was thinking that the British Army might deploy. Last time I checked, what the British Army does or does not do is no business of the Taoiseach. The reality is that it is dawning on Mr Varadkar that a WTO Brexit is increasingly likely, which makes Irish membership of the EU a tad less compelling that it was. And don’t forget that the Irish had to have a second referendum to adopt the Treaty of Lisbon, having rejected it first time round 54 per cent to 46 per cent. Leo’s world view is teetering on the brink, so he decides to threaten to destroy the Good Friday Agreement, which brought relative peace to Northern Ireland. In the early 1970s the British Army attempted physically to close the border. Blocking all 300-plus crossings failed. It then became unnecessary as intelligence operations became more advanced. There is no hard border today and the United Kingdom has no need of one. We’re not in Schengen and yet we let people and goods move across without checks today. There is no reason for that to be necessary post-WTO Brexit. If the EU is forcing the Irish to erect a hard border to cope with Brexit then Mr Varadkar should be arguing with Brussels. It is surely not a coincidence that his predecessor, Enda Kenny, didn’t see it as a problem and started work to implement technology to avoid a hard border, which seems to be a EU requirement. The alignment of the Irish border is so absurd that smuggling is endemic, as it has been since it was created in 1922. In places it runs through farms, putting part of a building in the UK and part in Eire. 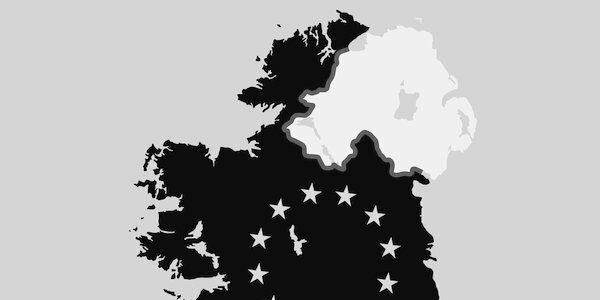 Quite whether the EU expects Eire to build a hard border is a mystery, but obviously it won’t be on the northern side. As a race, the Irish have a healthy disdain for inconvenient laws and unless Leo builds an Iron Curtain the reality is that the smuggling will continue. So the border won’t be hard, because it never has been and, without realignment, never will be. The simple and logical solution is for Eire to leave the EU too. But that is a matter for the Irish, and no one else. By the same token, the imminent departure of the United Kingdom from the EU is our business, not Mr Varadkar’s. A WTO Brexit is potentially a significant problem for Eire, as we’re their biggest market and most of their exports pass through the UK. (We also provide their air defence, finance and lots of other stuff.) A wiser Taoiseach would be going to Brussels to solve the challenges of Brexit, rather than creating new and spurious ones in conversation with Bloomberg.